This is part two in a series. Part one is here. Reforming corporate tax laws and tax treaties begins with an important step — sharing information. In 2010, America passed the Foreign Account Tax Compliance Act (FACTA), which asks all foreign banks to report data on American clients or else pay stiff penalties. This has turned into a witch-hunt. America is actively pursuing Swiss banks (renowned for their money laundering prowess), Spain is investigating football players, Italy and fashion icons, Britain and celebrities, and so on. The Organization for Economic Cooperation and Development (OECD) has begun its work toward a more transparent global tax system. So far, governments are picking the low hanging fruit. 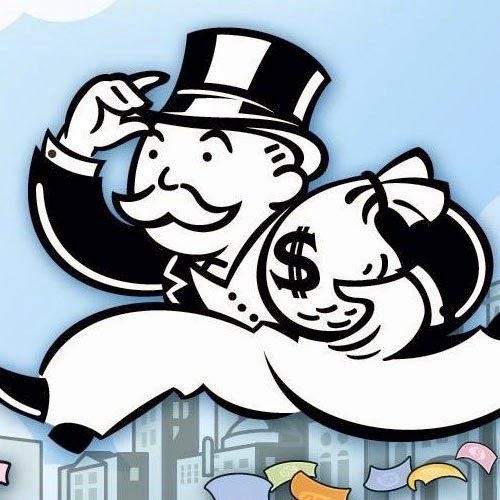 Reigning in high-profile tax-dodgers increases tax revenues and wins over the public. Information sharing isolates such delinquents, but it poses new problems. The article notes that while America has been quick to ask for information from other nations, it has been slow to return the favour. Some politicians may fear exposing their friends, or even themselves. Some nations simply may not be able to share information without parliamentary or public consent. What about security over this shared but confidential information? What’s an appropriate penalty for not sharing? How much of this information should be disclosed to the public? Despite these new questions, the move toward global tax transparency is promising and unprecedented. We must embrace the problems that come with transparency. The more difficult part will be to eliminate corporate tax loopholes, as discussed in part one. Corporations cannot be shamed into doing the right thing the way a celebrity can. They don’t have to live in any particular place. A new global tax regime where corporations have no choice but to pay their fair share of taxes must be one that transcends public opinion and national boundaries. But this raises a fundamental conflict between harmonizing tax policy across the globe and national sovereignty. Countries that promise to adopt universal tax principles may ultimately find it difficult to change their own tax legislation. They must battle political opposition and lobbying groups. Most importantly, they may be giving up a government’s most significant source of power: the tax levy. This is like European nations having their annual budgets being reviewed and approved by a central authority such as the European Union or the European Central Bank (ECB). The ECB would argue that, like any bank, if it is going to backstop a country’s borrowing, then it needs to know that the proposed fiscal plan is viable and that a country is acting sustainably. How can a country be sovereign if it does not have autonomous control over its own fiscal policy? If the elected representatives cannot affect fiscal policy, have we then circumvented democracy? But maybe this point of view gives governments too much credit. Governments don’t control the global economy. Historically, bond markets change government behaviour faster than a screaming nation. Besides, governments negotiate trade agreements dealing with taxes and duties all the time. Perhaps a “unitary” tax system, where a higher authority calculates, collects and distributes corporate taxes is the ideal. Participating nations would of course come up with the formula to divvy up tax revenues. 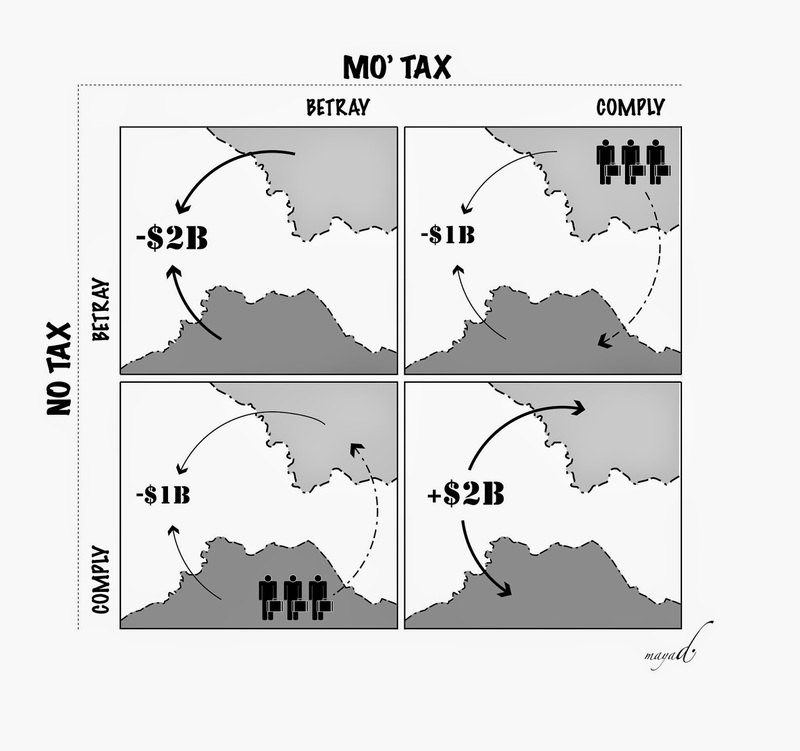 At the moment, nations cooperate with each other to avoid double-taxation. Tax treaties are in place so that no person or company is left paying tax twice. But we don’t have anything to catch the avoidance of tax. This is precisely what a unitary system could do. For example, a company that makes all its money in the United States but is technically Irish, for tax purposes, is clearly not paying enough taxes in the United States. With a system based on sales (for example), most of its taxes would be owed to America. The company cannot claim that being an Irish resident exempts it of any tax obligation. A unitary system restores balance. The consumers that buy, the employees that sell, would be under the same tax regime as the company profiting from these very resources. Despite the political appetite to close corporate loopholes, most of the G20 and developed nations are mired in recessionary conditions and need to solicit businesses and spark employment. The reason why tax havens and large tax incentives exist in the first place is because nations compete with each other to solicit businesses and create jobs. As elections are always around the corner, it’s hard for politicians to think of a long-term harmonized solution. In the real world, politicians indeed act much in the same way as the prisoners do the classic prisoner’s dilemma thought experiment. Each politician assumes the other is politically weak and will renege on the commitment to close a loophole. But if the others are going to betray the agreement, why not betray it yourself? The tragedy of the prisoner’s dilemma is that while all parties are better off when they fully cooperate, lack of trust leads them back to square one. Corporations have become too good at avoiding tax. Nations have treaties with each other to avoid double-taxation, but nothing is in place to secure a minimum tax is paid. A unitary tax solution (having a multinational or global tax authority apply a formula) could resolve this issue. More tax revenues would be collected overall. It may introduce an element of economic stability, as companies like Burger King may not feel inclined to move north of the border to save on its tax bill. But will sovereign nations ever trust a process that will not guarantee them more tax revenues? This may be too idealistic for now. Nations will always want to retain the ability to hike or drop their corporate tax rates. But in the meantime, information sharing should help close some of the largest loopholes, where companies are avoiding tax altogether. Maybe when governments start to see all of this forgotten revenue, it may expand the political appetite for a more progressive tax system.